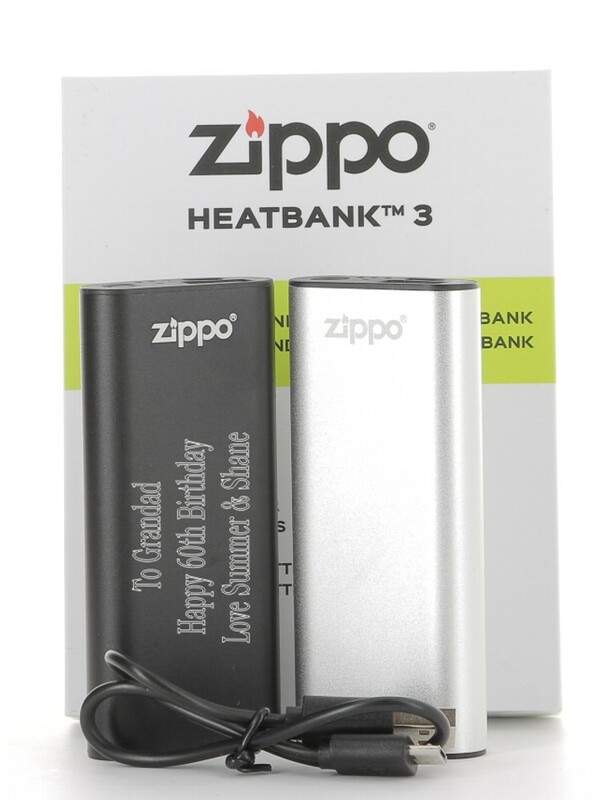 Personalised Engraved Zippo 3hr Rechargeable Handwarmer and Powerbank. The HeatBank™ rechargeable hand warmer keeps you warm from the office to the woods. The convenient power bank feature also recharges your USB compatible device, so you can stay connected while enjoying the outdoors. Available in a choice of silver or black. It does not use any fuel or burners. Engrave this great item with a special message, this will be engraved on the front of the handwarmer. Perfect gift for people who love fishing, skiing, golfing, dog walking in all weathers!